Do you have trouble getting a good night sleep or quieting your mind? Do you feel unbalanced or worn out? Do you suffer from chronic pain or anxiety? Would you want to work with the healing arts or deepen your spiritual path? If you answered YES to one or more of these questions, the learning Reiki is right for you. This ancient hands on practice promotes healing on the physical, mental, emotional, and spiritual levels. Its gentle and loving energy works to find the root cause of issues and to alleviate pain or discomfort from the source. For only once we discover where our pain lives can we truly heal. Because Reiki is positive and gentle, anyone can receive a treatment - from newborn infant to someone ready to transition to the other side. Reiki has absolutely no contraindications, therefore it will not interfere with any medications or electronic devices, such as a pacemaker. Always working for the highest good, Reiki can do no harm. In fact, the benefits of Reiki are endless. 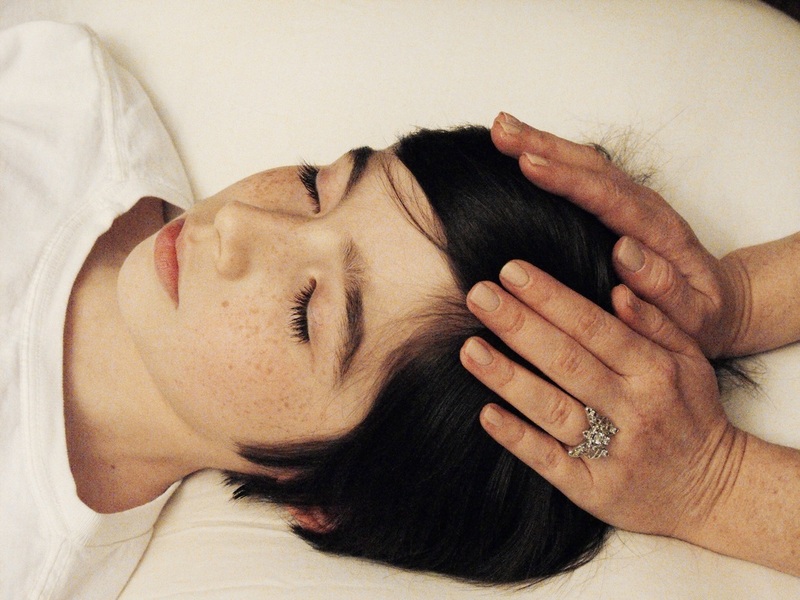 Anyone can do Reiki - even children. This is a simple, yet powerful, practice that can take your spiritual journey to the next level, enable you to sleep better, or allow you to share its divine energy with loved ones. First Degree is all about YOU! During this 1 day course, you will learn the basic hand positions for giving a treatment to yourself or others, benefits of Reiki, about energy and intuition, while receiving hands-on instruction. All students receive an attunement, comprehensive manual, laminated hand position chart and chakra chart, and certificate of completion. Give yourself the gift of healing! 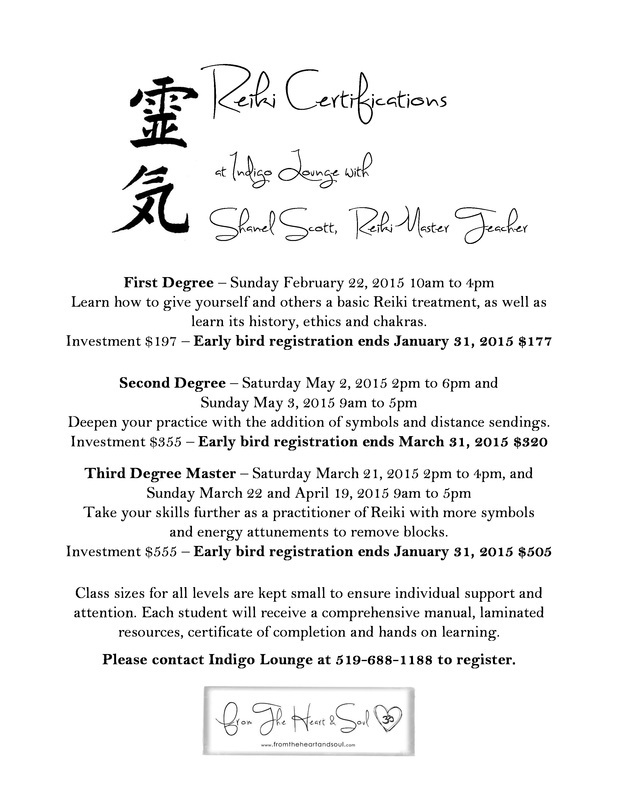 Second Degree takes your healing experience to another level, adding powerful Reiki symbols. during this 2 day course, you will learn about three Reiki symbols, their meaning and use, and how to send Reiki energy over time and space to give a distance healing session. As in first degree, you'll receive an attunement, comprehensive manual, hands-on training, and certificate of completion. Third Degree Master is the final level I teach. I love this level because, as a student, you fully immerse yourself in giving a session from the heart and soul, tapping into your intuition and healing gifts. You will learn healing attunements to be used during a session, as well as a few more symbols to enhance your practice. There is a strong focus on hands-on practice during this class. Each student receives and attunement, manual, hands-on training, and certificate of completion. 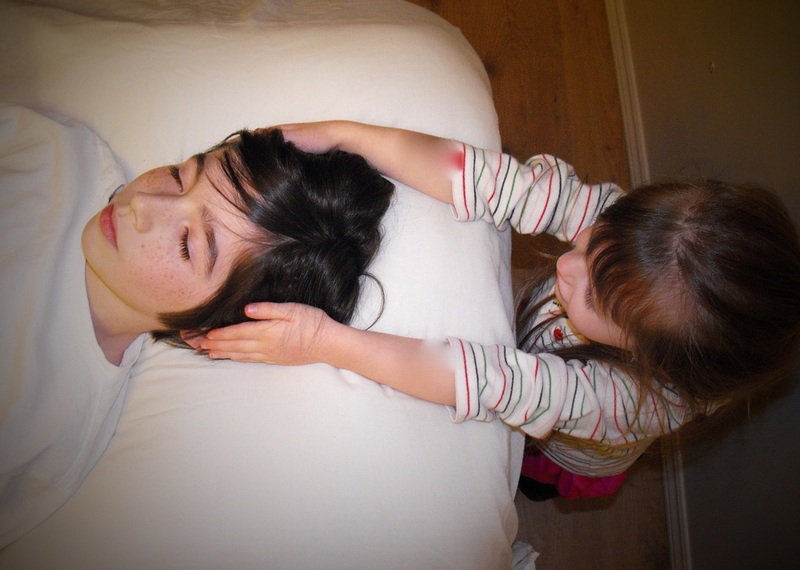 Children's Reiki Yes! Children can learn how to use Reiki, too, and it can be very useful in their daily lives to help them with kid "stress" and anxieties. The class is geared toward kids and involves games, stories, and crafts to facilitate the learning process. Kids learn about energy, chakras, what Reiki is, and how to give a Reiki treatment. In this class, I focus on self-esteem, self-confidence, and loving our authentic self. Each child receives a manual, laminated hand position chart and certificate of completion. Children's Second Degree Reiki - COMING SOON! Class size is kept to a maximum of 6 students to allow for individual attention. Pre-registration is required due to material prep. ANYONE - including newborns, pregnant women, seniors, those who are sick, recovering from surgery, have a pacemaker or transitioning to the other side. ALSO try giving your pets, animals, plant and even electronics Reiki. Ability to sleep better - fall asleep faster and sleep deeper. Relieves or eliminates emotional or physical pain. Recover from illness or surgery quicker. Be more creative, inspired and motivated. Feel calm, peaceful and more relaxed. Clears issues from the root. Clears issues from your past or past lives.